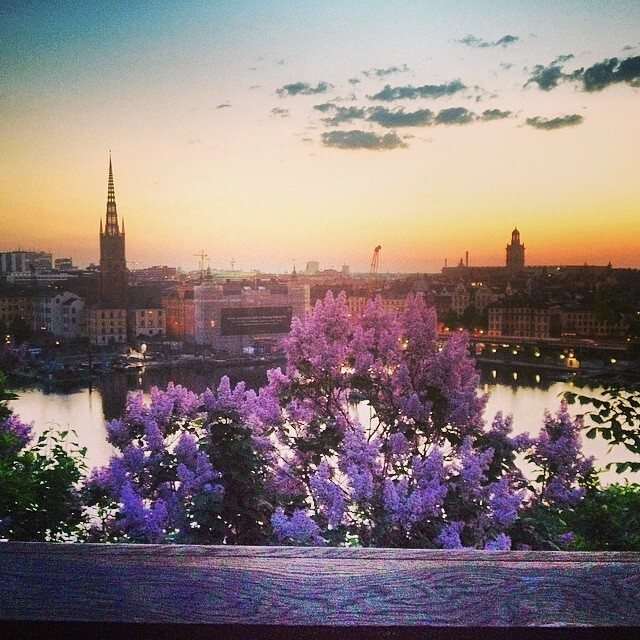 Do you wonder what to see and do to make the most of your trip during a 3-day visit to Stockholm? 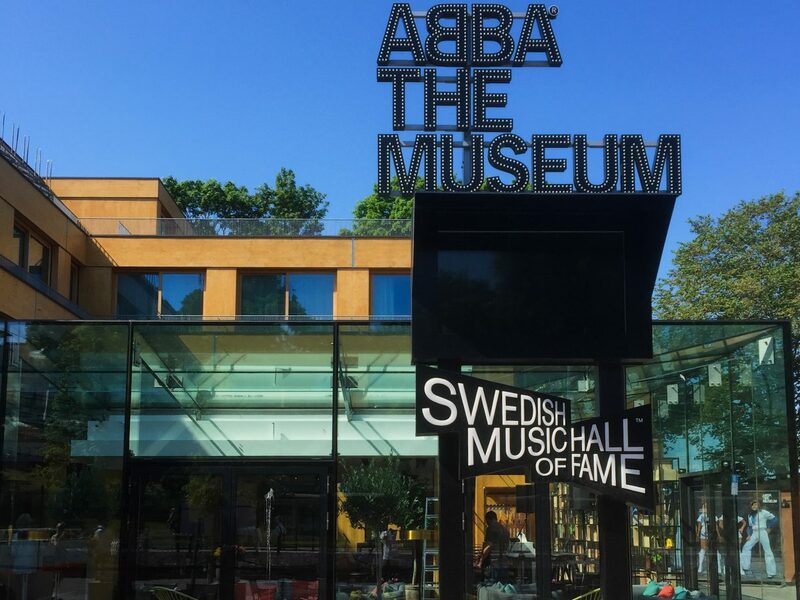 After more than 15 years visiting the city I am sharing these ideas, attractions, museums, sights and things to do and see with an itinerary and maps so that you can plan your stay during your holidays, get-away or long weekend in Stockholm. 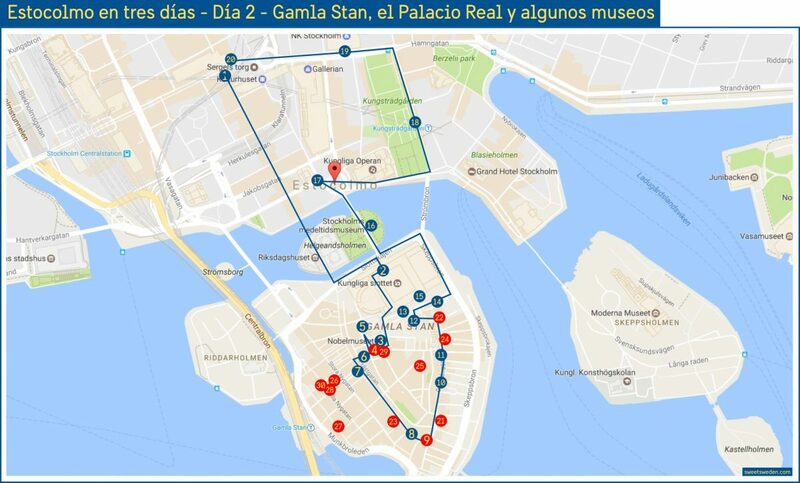 I have included a map with the placess to visit each day that you can download to follow my steps and make your sightseeing visit in Stockholm easier. 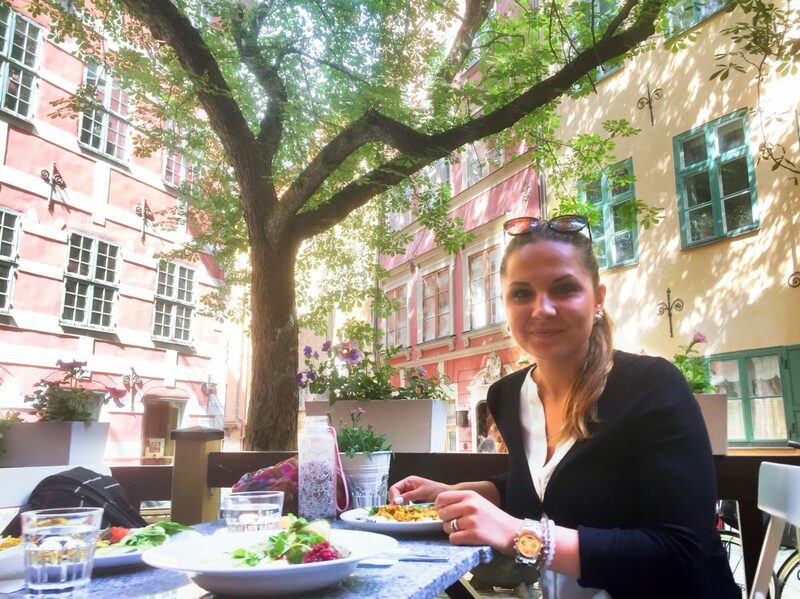 It is always difficult to plan a trip to an unknown city so these are my tips to get to know Stockholm, the capital of Sweden, during your short stay. If you are planning to stay longer leave me a comment and I’ll get back to you with more activities to enjoy. First, remember that you have the useful Stockholm Pass tourist visitor card available with a handy 3-day version to buy at the official website (sometimes offering a 10% discount) worthy if you plan to visit three or more museums and attractions every day or take some of the amazing boat tours in Stockholm and the archipelago offered by the same company. You can also book boat tours individually here. Regarding public transportation in Stockholm you will need an SL-Access travel card valid for 72 hours which entitles you to use all the underground trains, commuter trains, buses, trams and public boats during that period. Walk towards the (1) Stockholm City Hall located at the southeastern part of the island of Kungsholmen. This is a very popular sight in the city with its main building topped by three golden crowns (featured everywhere in Sweden as it was the symbol of the Swedish Empire and its three kingdoms) that make a recognizable silhouette. Every year its Blå hallen or Blue Hall in English welcomes the Nobel Prize celebration’s dinner with over a 1000 diners that later make their way to the Gyllene salen (Golden Hall) to continue the party with music and dance. From the City Hall you will enjoy amazing views both from sea level as well as from the upper part of the tower. The visit to the tower is not included in the regular City Hall visit and thus requires to buy another ticket). Read more about preparing your visit to Stockholm’s City Hall here. After visiting the City Hall go across the Stadshusbron bridge and get to the pier located at Klara Mälarstrand. With your public transportation card get on board the public boat number 85 that will cross Lake Mälaren and take you to the other shore at Söder Mälarstrand on the island of Södermalm. Edit February 2019: Boat nr 85 is not available anymore. Your best choice is to get on the bus nr 3 or 53 at Stadshuset bus stop in front of the City Hall and get off at Slussen (Södermalmstorg exit). 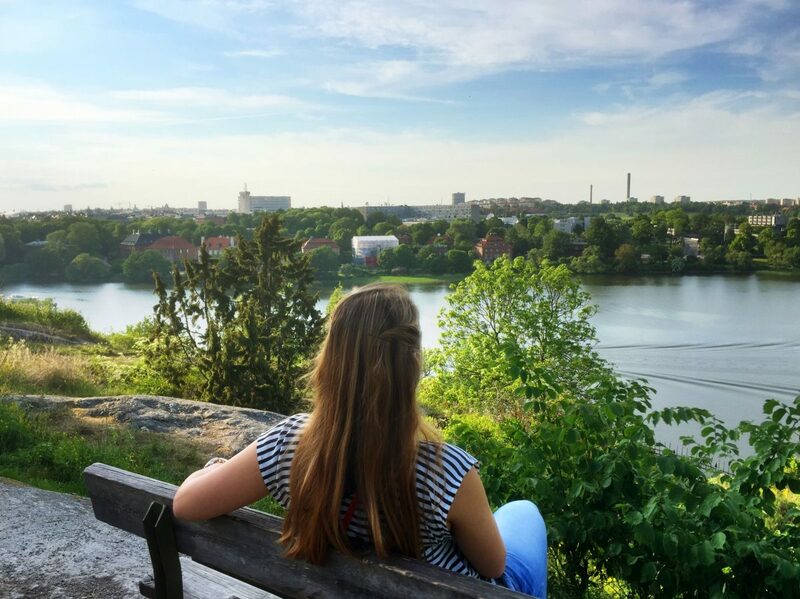 Walk towards Guldgränd and Bastugatan and you will be at Mariaberget hill specifically at (2) Monteliusvägen one of the lookouts with the best views of this part of the city* featuring the islands of Kungsholmen and Riddarholmen (to your right). 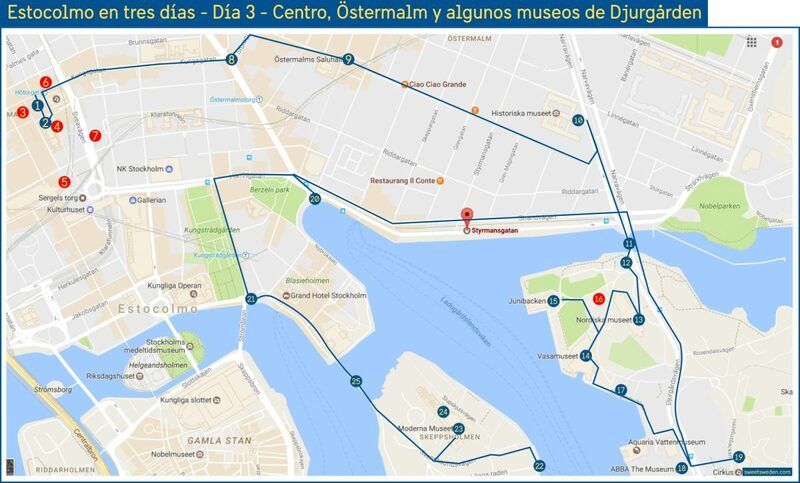 My recommendation is to walk your way towards (3) Bellmansgatan street, where you will be able to recognize some of the locations of the Millennium films (the Swedish version) and continue towards Götgatan. Walk up this street and remember that if you fancy a night out to have some drinks and have fun this is a good place to start (nearest metro station is Slussen). Keep walking until you reach Folkungagatan street and turn left towards Renstiernas gata. Welcome to the (4) SoFo, which stands for South of Folkungagatan, the hipsterest neighborhood in Stockholm. Art galleries, vintage and retro shops, boutiques, loppis – popular Swedish flea markets – await you and a lot of international restaurants and cafeterias are ready to welcome your first fika of the day. Fika, in case you don’t know yet, is the habit of having a break to have a coffee with some pastries or small sandwiches accompanied by a friend or a relative. Swedish do it often and better than others! If you are starving and wish to have lunch go to (5) Urban Deli by Nytorget Square (menu for 115 SEK – around $15) to enjoy a place that is both a restaurant, a delicatessen store and a meeting point for Swedish dads having a meal while their babys sleep peacefully in the strollers. A genuine Swedish view. Those looking for some traditional food need not walk far away and can not go wrong visiting (6) Meatball for the People and having some quality Swedish meatballs (95 SEK or around $12 between 11.00 and 11.30 and 125 SEK / $16 afterwards). Coffees are best served at (7) Johan & Nyström by the metro station Mariatorget. After a visit you can well say that you had your fika in one of the most popular coffeehouses in the city. If you don’t want to take the subway you can stay on the area and visit (8) Älskade traditioner, (Beloved Traditions) which is featured, prized and praised as one of the best cafés in Stockholm in 2017. After enough eating and fika – you might have realized your dieting plans will suffer a dip in Stockholm – walk to the north along Renstiernas gata until reaching the cross with Folkungagatan. You will see a wooden staircase. Walk up and you will be at a historical place between (9) Stigsbergsgatan and Fjällgatan Streets. Here you will find old red and white wooden stylished houses in the typical Swedish style from 18th and 19th centuries. Keep on walking until reaching the stairs leading down to Fjällgatan Street. Following this street you will get to (10) Fjällgatans kaffestuga where stuningly beautiful views of the Baltic Sea and the island of Djurgården compete for your attention with delicious icecreams, waffles and fika pastries. 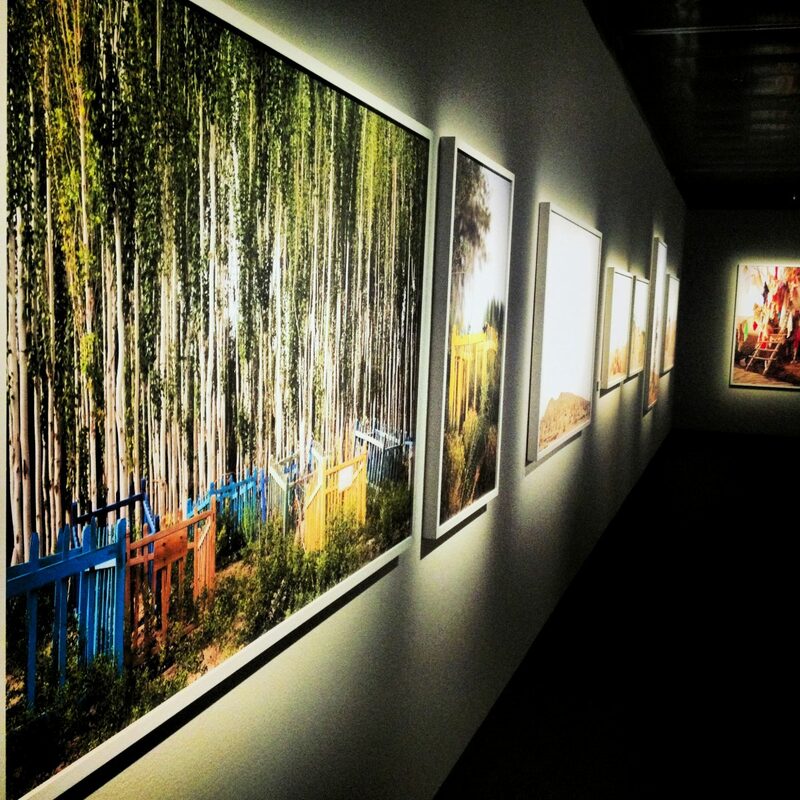 Retrace your steps through Fjällgatan Street and walk to the corner at Renstiernas gata Street where you can take the stairs down to the door of the (11) Fotografiska – Musem of Photography. You can pay it a visit now (free entry with the Stockholm Pass tourist card otherwise its price is 130 SEK – $16.5) but remember that this is the only museum in Stockholm with broad opening hours (closing at 11 PM or 1 AM depending on the days) so you can leave it for a late night visit when every other museum is already closed. Should you not want to visit Fotografiska keep on walking until you reach (12) Slussen underground station and ride the metro until (13) Zinkensdamm station. Walk towards (14) Tantolunden and enjoy the beautiful sights through the family gardens at Tanto a natural area full of life that Stockholmers strive to maintain in perfect conditions. If you are lucky and weather is on your side you will be able to watch how people make it to the top of the Tanto hill and have picnic (pro-tip: buy something for yourself and enjoy it there à la Swede). Meanwhile right under your feet at the mini-beach in Årsta Bay children and parents take a dip on the cool waters of Lake Mälaren. Do you fancy one? Do you dare? Bring your swimsuit! If you still have some free time there is a shopping area and interesting stores around (15) Mariatorget Square but if you prefer having dinner (Swedes tend to do it early compared with i.e. Spaniards) my advice is to go to (16) Hornstull area around Hornsgatan Street or at Hornstull strand – a promenade by the water – where you will find a bunch of restaurants and street food trucks. After dinner it’s probably the right time to get back to the hotel, get some rest, recover your legs, and prepare yourself for the second day. 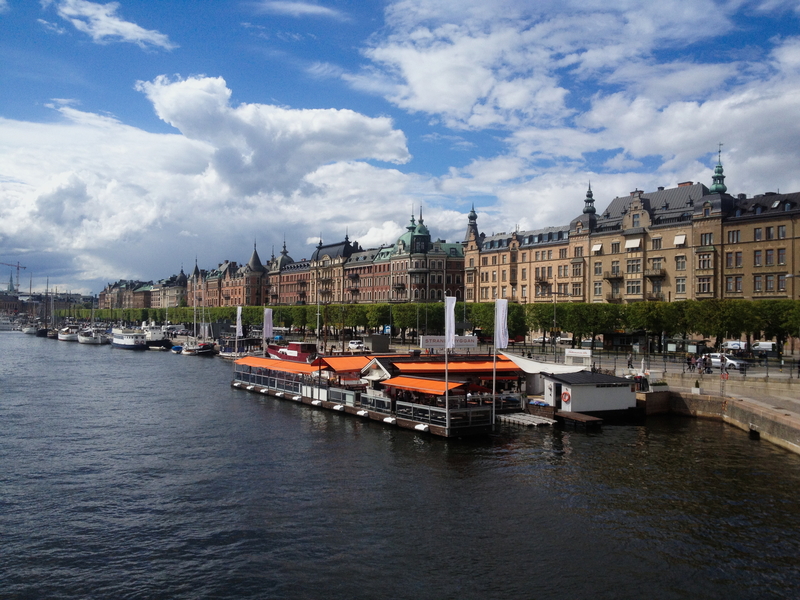 We will be visiting Gamla Stan, the Old Town of Stockholm. 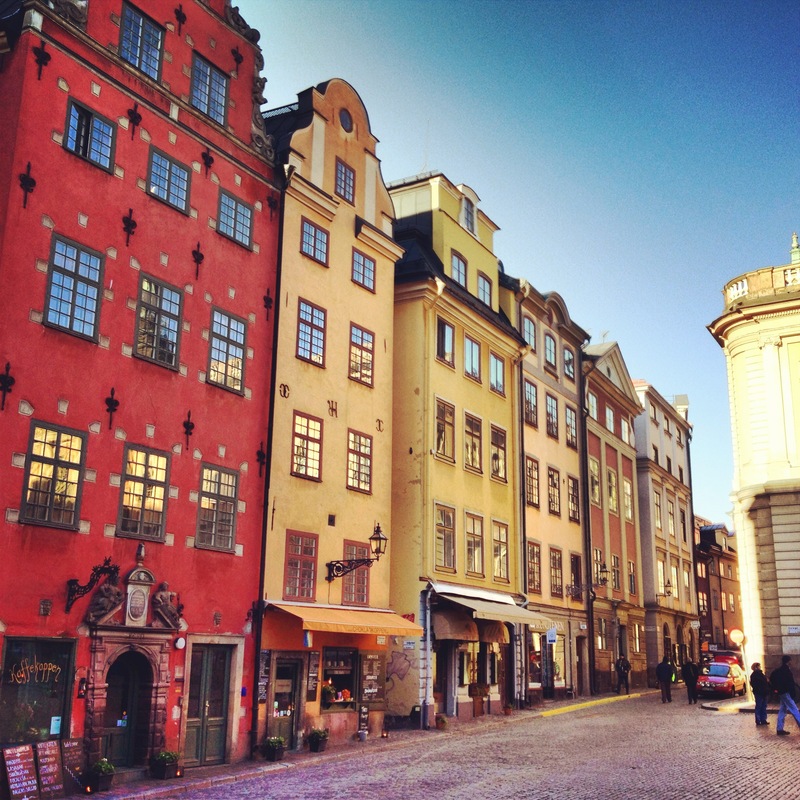 Gamla Stan is one of the most beautiful places in Sweden according to a survey made among 2500 Swedes and on your second day in Stockholm you are going to delve into its streets and history. Remember to dress comfortably and choose the right shoes because a lot of the day you’ll be walking on cobblestoned streets. Start by going to T-Centralen underground station, one of the main hubs in Stockholm served by the three metro lines in the capital of Sweden, and search for the exit towards Sergels torg Square. Now you are in the heart of Stockholm (which in Barcelona would be Les Rambles) filled with tourists going for a walk, souvenir stores and people all day. This street is the Queen’s Street or (1) Drottninggatan. Here you are in for a long line of H&M retailer stores. If you particularly like this Swedish fashion brand take some time off to check them because you will find collections which are not available elsewhere in the world. 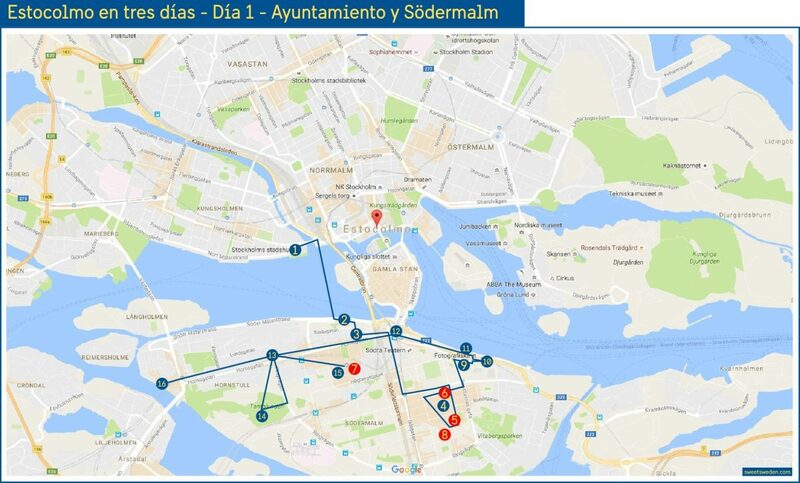 Follow the itinerary on the map towards the Riksdag – the Swedish Parliament – on the islet of Helgeandholmen. Once crossed walk to the left and up the stairs that grant you access to the (2) Royal Palace. This palace in Barroque style accommodates more than 600 rooms and made it to the list of the biggest palaces in Europe. There are three museums to visit here: The Royal Treasure Museum (Skattskammaren in Swedish), The Three Crowns Museum and during summertime The Gustav III’s Museum of Antiquities. Free access if you buy the Stockholm Pass otherwise adult tickets cost 160 SEK (15€ / $20 / £13.35). When the clock strikes 12 it is time to prepare for the change of guard which takes place at 12.15 PM on the patio. During summer months this event gets really crowded but it is worth a visit. From here you can walk towards (3) Stortorget Square and visit the Nobel Museum (included in the Stockholm Pass tourist card) and located at the very heart of the square. If you don’t have a tourist card the entry fee is around 120 SEK (12€ / $15 / £10). Stortorget is one of the most photographed sights in Gamla Stan featuring well preserved houses in different colors and thus you really want to take your time and explore it well checking the details. If you are ready for some fika time do it in one of the most famous cafeterias in Stockholm, (4) Chokladkoppen, located at ground floor of one of the beautiful colored houses. At the square’s right side you will find (5) Stockholm’s Saint Nicholas Cathedral, called Storkyrkan in Swedish, dating from 1279 which unique objects from the Swedish Middle Ages and later. Entry tickets cost 40 SEK (4€ / $5 / £3.50) and it is also included in your – as you may have thought – very worth Stockholm Pass. Walking down from Stortorget don’t miss (6) the writing on Viking rune located at one of the corners of the Kåkbrinken alley. This is one of the many Viking things to do and visit in Stockholm and surrounding area*. Walking down you will make it to (7) Vänsterlånggatan one of the main streets in Gamla Stan full of souvenir and design shops (yes, design in Sweden goes far beyond IKEA! Check it out during your stay) that will try to get your attention and make you buy all your presents at once. I would save that for the last day because on the 2nd day in Stockholm you still have a lot to walk and you don’t want to carry much weight. 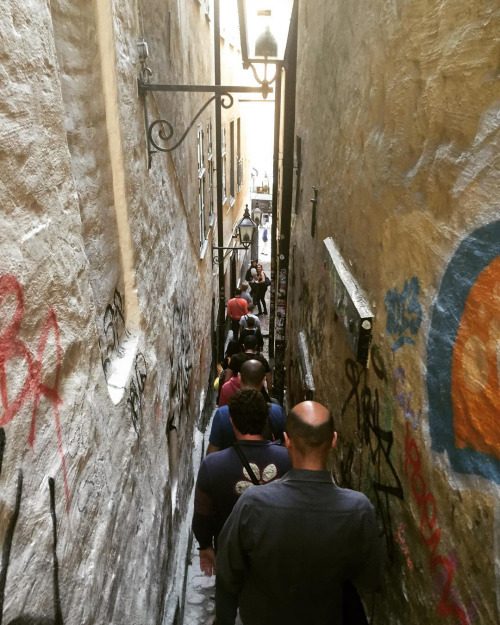 Anyway, keep on walking through this street without any hurry and you’ll get to another of the most popular and photographed spots in Gamla Stan which is the 90 cm (35 in) narrow alley called (8) Mårten Trötzigs Gränd. Walk up or down or just take the typical selfie. Choose whatever option you want but go back to Vänsterlånggatan Street and keep going until Järntorget Square. Here you are in for a fika treat at (9) Bröd och Salt (on your left). Indulge yourself and eat what I rank as the best cinnamon and cardamom buns in Stockholm. Turning left on Järntorget and going up through Österlånggatan Street you will reach an area filled with small art & craft stores, home furbishing and other interesting things to see and perhaps buy. My wife specially loves (10) Blå Gungan and HildaHilda located in front of each other. Finally after some time visiting the stores you will make it to (11) the statue of Saint George’s and the Dragon. 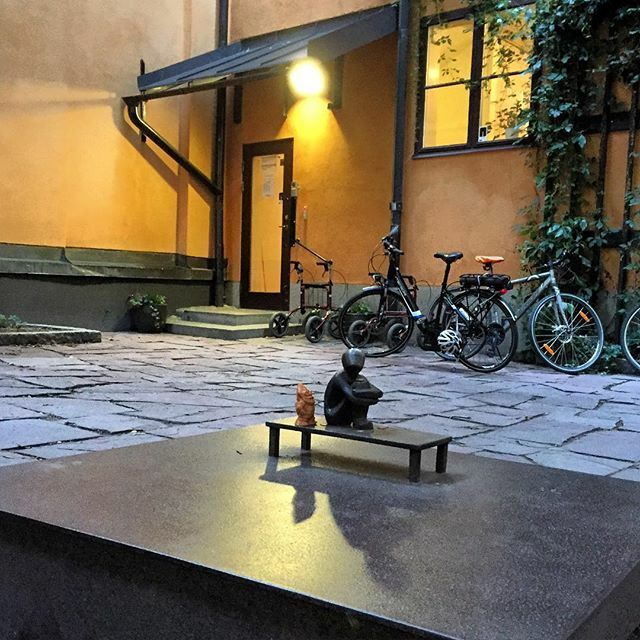 Afterwards you could decide to visit one of the most searched for places in Gamla Stan by tourists: (12) Järnpojke which is said to be the smallest statue in Stockholm. Check the map to see where it is located. Now it is time to take some pictures by (13) Gamla Stan’s obelisk and visit (14) The Royal Coin Cabinet (or Museum of Economy) and Sweden’s oldest museum (15) Livsrustkammaren, The Royal Armoury dating from 1628. Both belong to the 15 museums in Stockholm which have free admission. Walking down the slope towards the water you can skirt Gamla Stan towards Norrbro Bridge and cross in front of the Swedish Parliament. Here you will find (16) Stockholm Medieval Museum. If you really are a museum enthusiast (17) the Museum of the Mediterranean awaits you on the other side of the Karl XII Square. Otherwise turn right and cross the King Garden at (18) Kungsträdgården, and look for some luxury shopping at (19) NK or back at our departure point at Sergels torg Square at (20) Åhléns shopping mall. As you likely will be walking all around Gamla Stan trying to discover its sights and secrets and distances are not large I am not writing you where to stop for having lunch or dinner but in the map you will find some restaurants and cafeterias that you might want to check during your itinerary. If you are looking for Swedish traditional food, called husmanskost, check: (21) Den Gyldene Freden – which is said to be the world oldest restaurant dating from 1722 – or (22) Tradition. Both are amazing eateries. Those passionate for Vikings need have a look at (23) restaurant Aifur. Also interesting is (24) Fem Små Hus. One I really love and that shows Gamla Stan’s best feeling is (25) Under Kastanjen or “Under the chestnut” which perfectly reflects its amazing location. At a higher category and price are: (26) Pubologi or (27) The Flying Elk (from renowned chef Björn Frantzén whose restaurant was granted two Michelin stars*). For the luxury travelers (28) Omakase köttslöjd will never disappoint you. If it gets dark and you still are in Gamla Stan check some of the restaurants above or if you are missing fast-food make your way up to one of the corners of Kungsträdgården where you will find 100% Swedish hamburger at MAX*. To those staying in Gamla Stan for a cocktail or a drink I can recommend (29) Pharmarium – an old pharmacy turn into a cocktail bar in the heart of Stortorget Square – or (30) Tweed beside the Postal Museum. After having dinner is time to get back to the hotel. There is a metro station in Gamla Stan or you can walk your way back to T-Centralen. The day starts at (1) Hötorget Square. 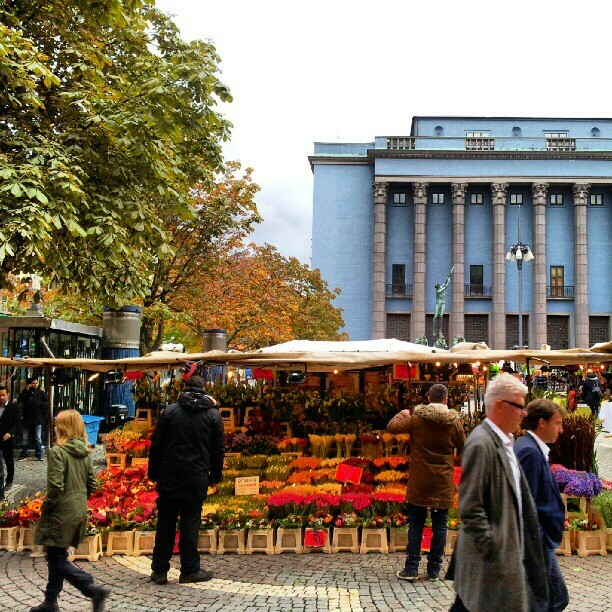 Here you will find Stockholm’s Concert Hall – a blue building dominating the square which at times is occupied by a market where flowers, fruits, etc are sold). By the Concert Hall entrance you will see statues from renowned Swedish artist Carl Milles (his statue-park Millesgården in the northeastern part of Stockholm is one of my favourite museums in the city*). Unfortunately the Concert Hall can’t be visited unless there is any concert going on. However, walk towards Hötorgshallen food market located under the cinema and get acquainted with Swedish gastronomy and products. If you didn’t have any breakfast at your accommodation get a bite in the market or check the breakfast at Stockholm’s new luxury hotel (3) Scandic Haymarket. You will not be disappointed, I am sure. You may love IKEA but Swedes love design. 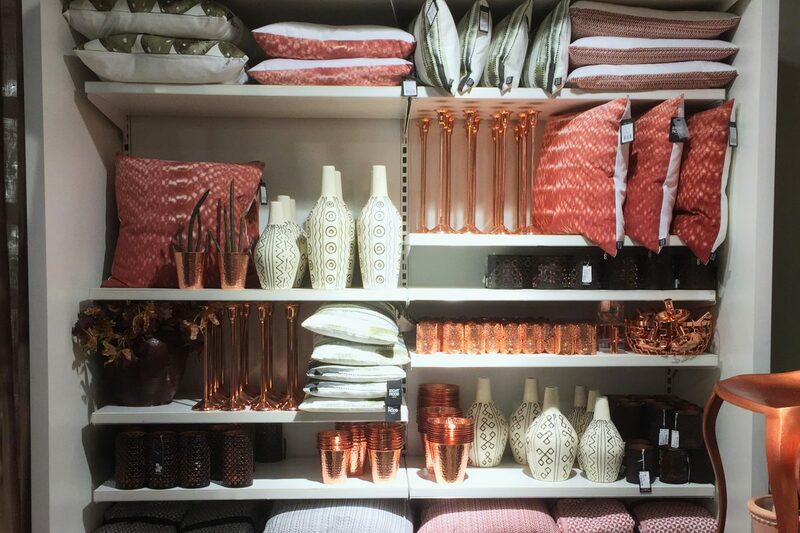 Around this area you will find a lot of Swedish home decor stores where you can buy yourself a little present to recall your trip to Sweden. (4) Hemtex, (5) H&M Home, (6) Granit or (7) Mio are my favourites. Walk down Kungsgatan Street until Sveavägen and cross towards the two towers. Keep straight ahead and you will make it to (8) Svampen (The Mushroom) which is one of the preferred meeting points for Stockholmers in the area known as Stureplan. Take a look around you and feel the ambient. You have stepped into Östermalm, one of the poshest neighborhoods in Stockholm. Walk to the left and turn right on the first street Humlegårdsgatan which will take you directly to our next stop (9) Östermalms saluhall, the old food market located in an historical building. A must visit. After visiting Östermalm’s market cross through the Östermalmstorg Square and keep walking through Storgatan Street until reaching (10) Sweden’s History Museum (free admission)*. Then keep on walking through the main street, Närvavägen, and you will reach (11) Djurgårdsbron Bridge linking Östermalm to the island of Djurgården. 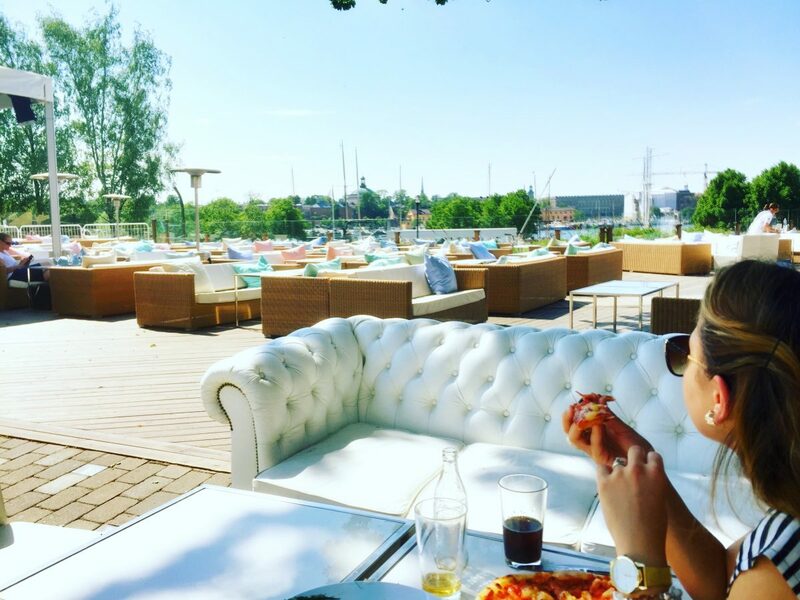 Go across the bridge while checking the fantastic views of Strandvägen and its restaurants on the water. After walking across the Djurgådsbron Brige you can visit (12) Visit Djurgården‘s Tourist Office on your right. This island has so much to offer that they have installed a tourist office by the entrance. Undoubtely the building that will catch your sight is the majestic (13) Nordic Museum. 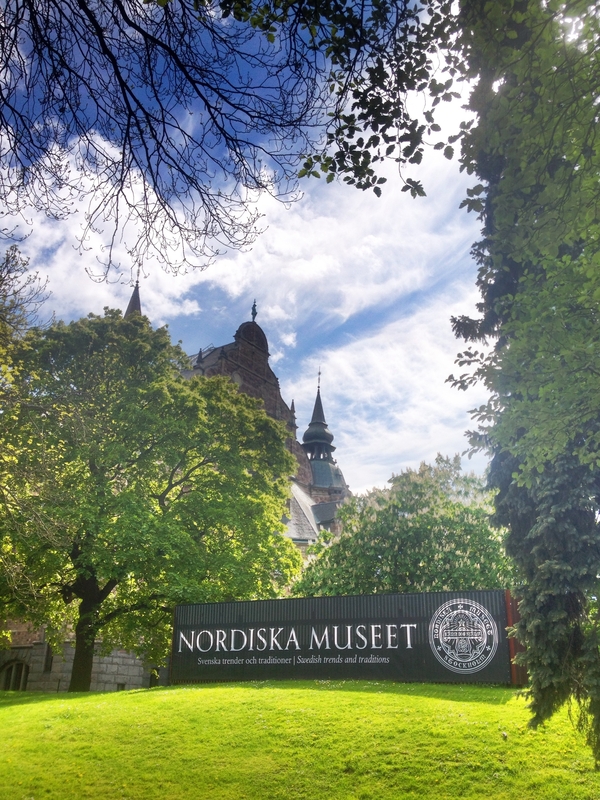 Pay a visit to Nordiska Museet (included in the Stockholm Pass) to get to know in-depth the life and evolution of Nordic societies along the centuries. 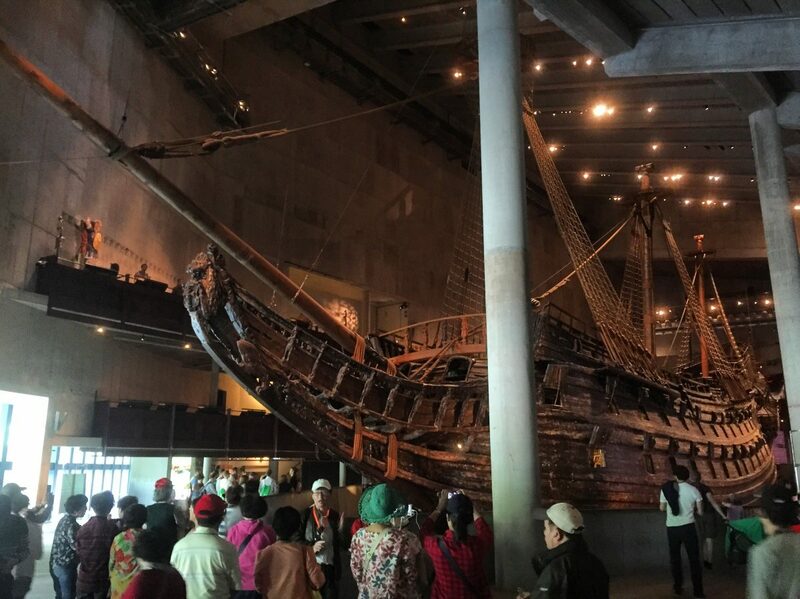 On the backside of the Nordiska Museet you will find the most visited museum in Scandinavia: (14) The Vasa Museum (free entry with the Stockholm Pass). No need to say that the Vasa Museum it’s a must see, featuring the ship that sunk minutes after sailing and was rescued 300 years later almost in perfect conditions. If you are visiting Stockholm with your kids let them have fun at (15) Junibacken otherwise skip the children-oriented museum unless you are a fan of Astrid Lindgren’s writings. If lunch time surprises you between Junibacken and Vasa Museum I can recommend to have something to eat at (16) restaurant Josefina* which is one of my favorites spots in the area. On the contrary if you are not hungry and want to keep visiting museums for a while walk by the water until you reach (17) Spritmuseum, included in the tourist card is a museum dedicated to alcohol and spirits explaining the love-hate relationship between the Swedes and spirits. Personally whenever I am in Stockholm I free some time to check the new exhibitions in this innovative and interesting museum. Its restaurant is also delicious. Walking by the water and following the guiding signs you will reach (18) ABBA The Museum. Visit it, yes … go in and visit it .. (I outlined 5 reasons to do it*– just available in Spanish for now). But remember that you have to buy the tickets online and book a time for the visit in advance. The visit will last for about two or two and a half hours. Finally visit (19) the open-air museum and animal park at (19) Skansen which is the crown jewel of museums in Stockholm. Go in and get lost strolling through its houses, streets, parks, etc. You will learn how life was in Sweden in the past or meet the animals at the Nordic zoo: wolves, seals, bisons, bears, mooses, reindeers and many many more. You will also find places dedicated to sami culture and a great lookout over the bays surrounding Djurgården. Visiting Skansen as a whole will take much time. Opening hours at Skansen are a little funny. Generally from May until Midsummer (end of June) Skansen closes at 6 PM. From the end of June until the end of the summer the park closes at 8 PM. Out of season Skansen can be closed as early as 3 PM or 4 PM. It is much better to check the opening hours the day before visiting and time your visits to other museums accordingly. 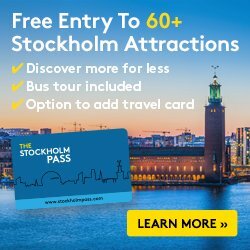 Free entry to Skansen with the Stockholm Pass. After visiting Skansen and if you have some time left get on the tram and head for (20) Nybroplan where you can use your Stockholm Pass and go on a boat trip through the city (from this pier there is one bound for Fjäderholmarna islands*). Another option is getting back on the tram to Djurgårdsbron Bridge and changing to bus nr. 76 heading west and getting off at Karl XII:s torg bus stop. From there you are very close to Grand Hotel and (21) Strömkajen, the pier that serves the boat trips Stockholm Under The Bridges. 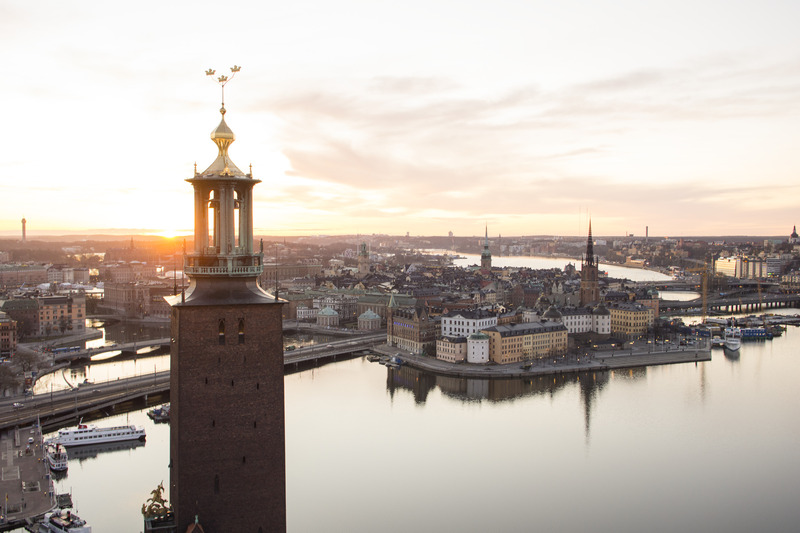 In the summer you will have an amazing boat trip – luckily during the golden hour – and incredible views of Stockholm with the gentile nordic sunlight. Going back home with that image in your retina is a great feeling. A third option is getting to Allmänna Gränd, the pier beside Gröna Lund amusement park, and board the ferry Djurgårdsfärjan to get off at (22) Skeppsholmen’s pier. Here you could visit (23) The Museum Of Modern Art and (24) ArkDes, The Museum of Architecture & Design, or simply walk across (25) the bridge with the crowns – another typical sight in Stockholm – called Skeppsholmensbron until you get back to the main pier at Strömkajen. Because all of my itineraries for these three days start at a centrical location I would recommend you to book and stay in a hotel in the city center and close to the Central Station. Scandic Grand Central, (I wrote about it here) is one of my favorites and a good choice. If you like the Scandic group, great for everyone but specially for families, the Scandic Continental, is even closer to the starting point for day 1 and day 2. Also Radisson Blu Waterfront and Radisson Blu Royal Viking could be great hotels close to every day’s departure and arrival spots. And if you are in for using public transportation take a look at current offers showing best hotel prices in Stockholm right now. You can also take a look at Stockholm’s 10 Most Booked Hotels Last Year according to my readers. 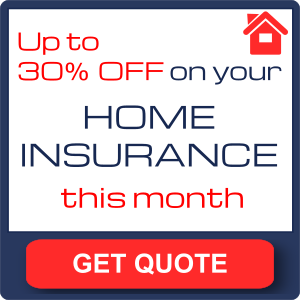 If you are looking for another kind of accommodation in Stockholm take a look at my article featuring cheaper options to book accommodation in Stockholm (boats, hostels,etc)*. You’ll need Google translator until I write the English version. Should you have any comment or question about what else to visit in Stockholm leave me a message and I will get back to you a soon as possible. I hope you enjoy your stay in this beautiful city and come back here to tell me more about it. Hi Isreal, I really enjoy reading your blog on what to do in Stockholm for 3 days! I will be with a friend visiting Stockholm for our 1st time but will be there for 6 days instead, sometime end of August this year. Any other recommendations to do/see/eat? as you are going to stay more days I would include longer trips to the outskirts of Stockholm. One day could be a visit to Sigtuna, what once was Sweden’s first city, another day a long tour by boat in the archipelago maybe the one to the islands of Sandhamn or Vaxholm (with a visit to the fortress). Uppsala is another city you could choose for a visit. 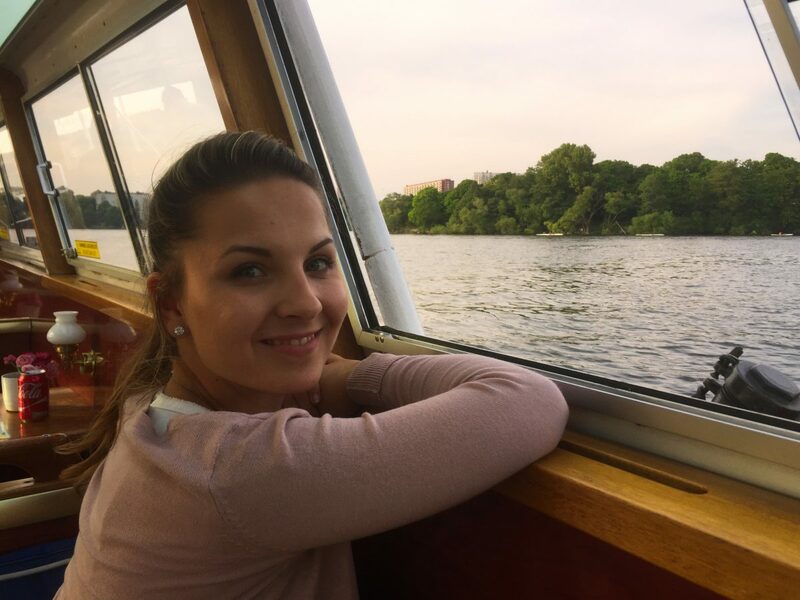 You could do some of the following tours in Stockholm or take different boat trips around Stockholm & the archipelago which are included in the Stockholm Pass, the official tourist visitor card. As I started recently writing content in English you should excuse me having not so many articles. So the next ones I will link need using Google Translator (until I rewrite them in English). But if you want to stay in Stockholm. Look for the best view spots here, visit these 15 museums for free. Regarding eating out I have a list of some nice restaurants and cafes here. In time these articles will be also available for English speakers to read. Have a great time in Stockholm!